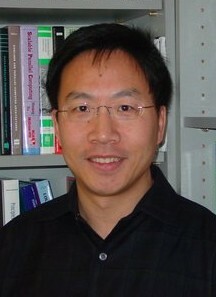 Jingke Li is interested in various aspects of parallel computation, in particular, programming languages, compilers, and tools. He is conducting a research project on compiler techniques for parallel architectures. The project focuses on three topics: (1) a uniform framework for defining and analyzing parallel, sequential, and functional programming constructs; (2) an intermediate program representation suitable for compiler optimizations for communication, data alignment, and memory accesses; and (3) effective compile-time communication scheduling techniques for distributed-memory multicomputers.